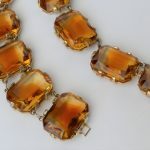 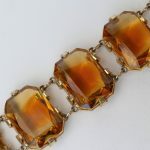 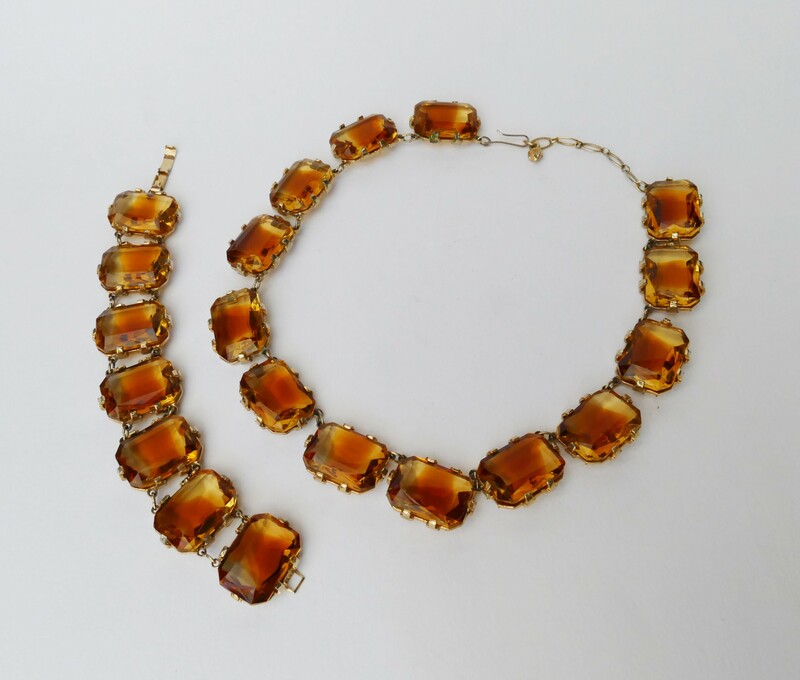 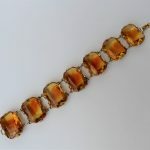 Am impressive vintage costume jewellery necklace and bracelet set with large amber coloured crystal stones set within gilt mounts. 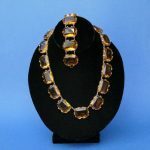 This set would date to the later part of the 1950s or early 1960s. 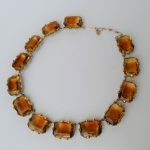 Unmarked Excellent – No chips, cracks or restorations.